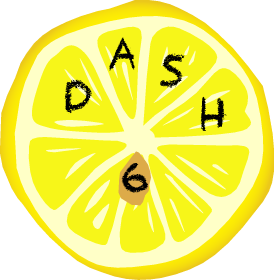 DASH is a day-long event, starting at 10:00 AM. We expect most teams will finsh the puzzles within 6-8 hours. Teams must have between 3 and 5 players. If you have 6 or more, you should split into two teams, so everyone gets more puzzle time. If it's just you, or just you and a buddy, you should convince someone else to join. If you're having trouble making friends, let us know, and we'll do our best to pair up similarly short-staffed teams. Registration opens on Friday, February 28th. The cost is $40 per team. You will receive payment instructions via e-mail after GC confirms your registration. We will do our best to accept as many teams as would like to play. Experienced Players - For puzzlers who have played in DASH or other puzzle hunts before. DASH, Jr. - This new track is specifically tailored to younger puzzlers (suggested ages between 10 and 16) and at least one adult chaperone. The chaperone will register the team and will maintain responsibility for the team's safety and well-being thoughout the event. Check the FAQ for a list of recommended puzzle-solving materials. If it looks like rain (hello, Seattle in April), you'll want to bring umbrellas and jackets to keep you and your puzzles dry. All teams are required to bring at least one Android or iOS 7 smartphone or tablet. If you're worried that your team will be unable to meet this requirement, please e-mail GC at [email protected] and we will work something out!